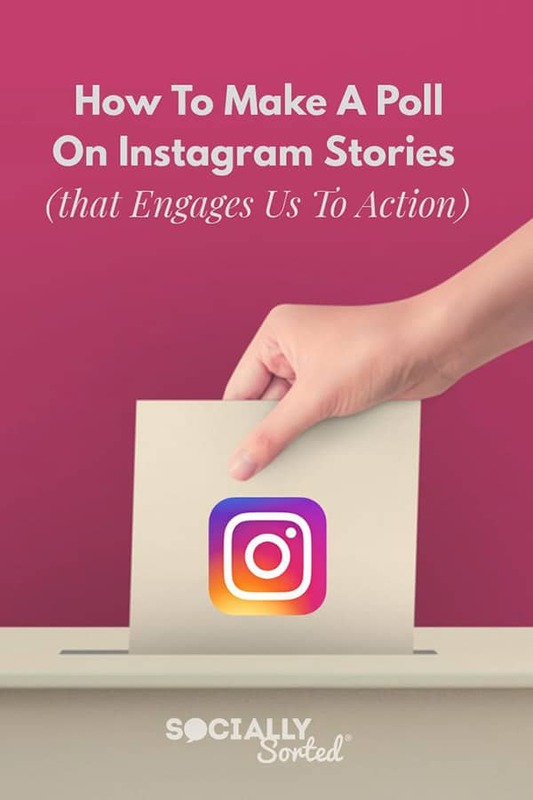 Wondering how to make a Poll on Instagram Stories that engages us to action? 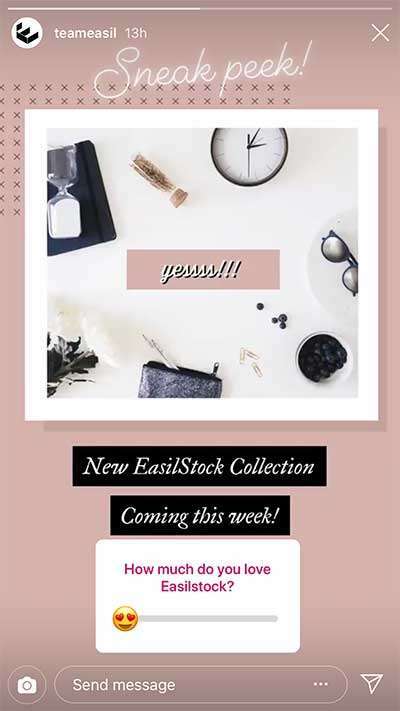 There are many ways to use Polls on Instagram in Stories, and in this post I’m going to show you how to make a poll on Instagram that encouarges us to take action! 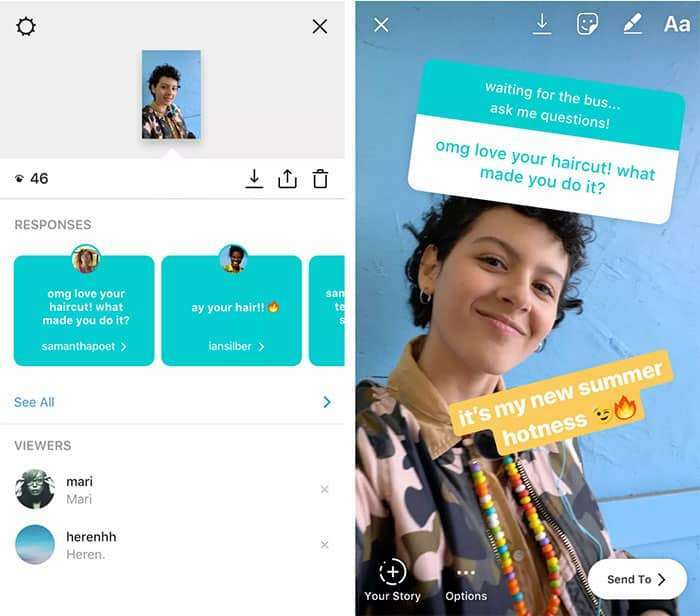 Polls are a great way to increase engagement on Instagram Stories. 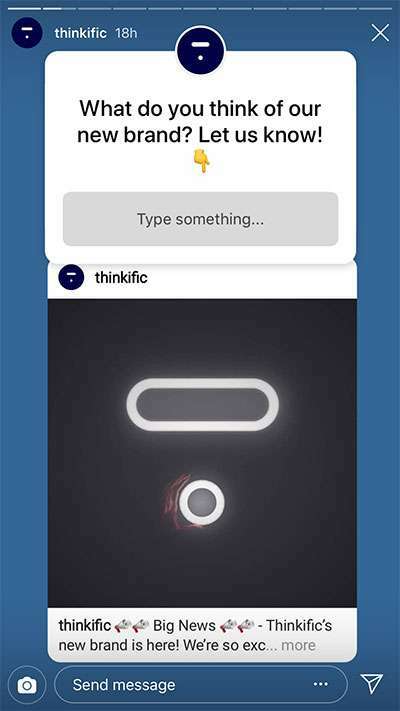 Ever since Instagram introduced the first basic poll (as shown below) they have backed it up with awesome iterations of this feature that are easy to use. 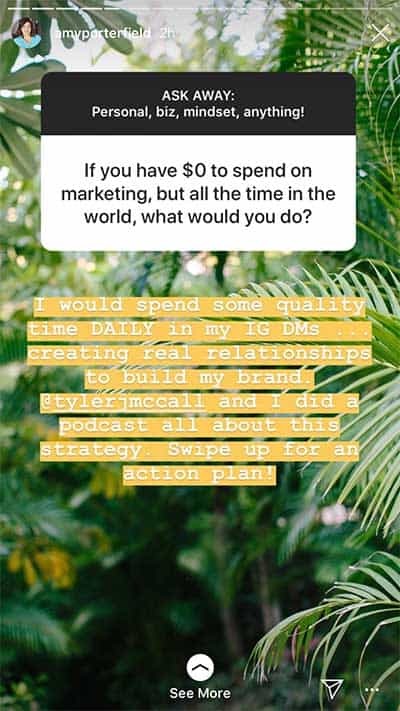 But I often get asked how to make a poll on Instagram Stories, so I wanted to break it down for you. Instagram loves engagement and when it sees people engaging with your content, it will generally send you more eyeballs and engagement. So by adding features like Polls to your story, you can increase the changes of your followers taking action and engaging with your content. 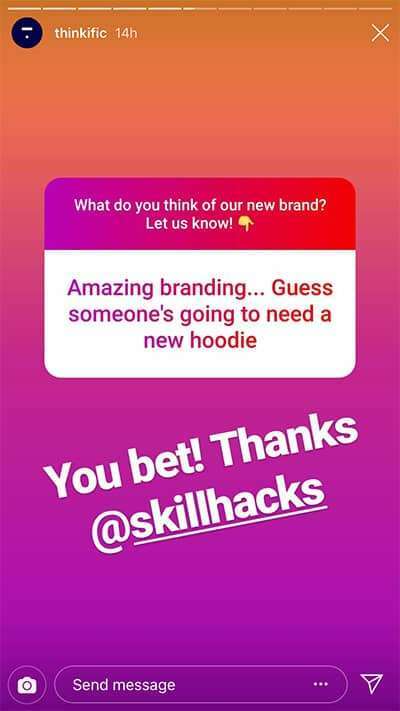 Here are 3 different types of Poll to show you how to make a poll on Instagram. The first two are “voting” polls and the 3rd is a little different. Perhaps not entirely a poll in the traditional sense of the word, but a great way to gather information and engagement nonetheless! Opening up the app and choosing Stories by tapping the camera icon in the top left corner of the screen. Choosing the Sticker icon (the smiley face) from the top menu. Choose from the Poll, Emoji or Questions options. Their official names are the Poll sticker, Emoji Sticker and Questions Sticker. Important: A common (and frustrating) glitch for Instagram users is the omission of certain features at times for some users. Some features don’t show up when they are expected with updates. Sometimes they disappear altogether! I’ve had GIF Stickers disappear and reappear and all sorts of variations. All I can say is be patient, update your app, turn your phone on and off. If that doesn’t work then hope that you see the feature you want at the next update. It will usually show up eventually. 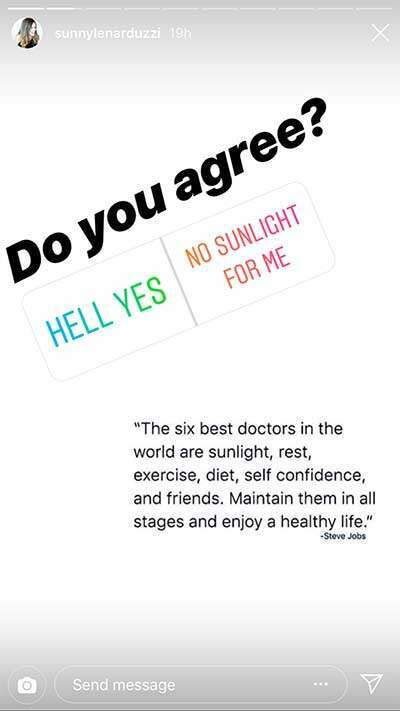 You can change the standard YES | NO to something more fun like in the following example from Sunny Lenarduzzi. And you can change the text for the question using Instagram’s text tool, to choose the font you want. In this case, to make it bold! In the following example, Shutterstock have used a poll to start a conversation about their new blog post. They’ve added the Swipe Up link if you want to walk down memory lane of important tech events for the past 15 years. Hot Tip: Use Emoji’s instead of words to make it more interesting. For example, if you were cheekily asking people how much they love hot, spicy food, use 1 Chilli emoji to indicate a little and 3 chilli emojis for the chilli lovers. Or you could use a happy emoji and a sad emoji to indicate yes/no. Side note: asking your followers to participate in menu planning or how your business will run, choices you will make, plans for a team day out… can be very engaging. Use your imagination. We want to have our say, even if it’s not our own business! And for a location-based business, asking your locals to help make decisions can bring them closer. Or even right in to your business itself if it is about Taco Tuesday choices at our favourite Mexican restaurant! Emoji Stickers are a fun way to conduct a poll. If you’re wondering how to make a poll on Instagram, this may be your best place to start! Who can resist responding with an emoji, right? 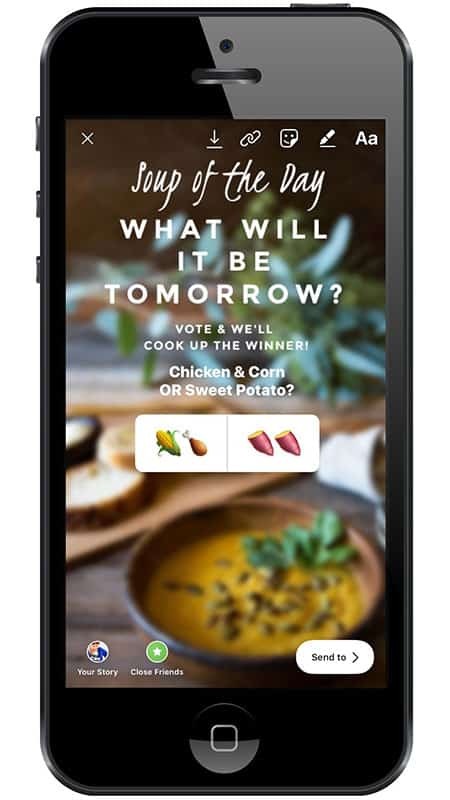 The following is a great example of storytelling AND how to make a poll on Instagram Stories. 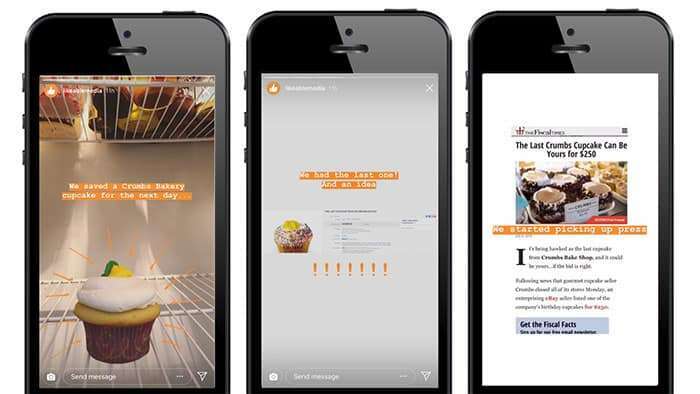 I LOVE this clever use of the emoji sticker poll from Likeable Media. They did a Throwback Thursday to reminisce about a fun media campaign they ran a few years ago. Their team had one cupcake left over from popular cupcake shop, Crumbs in New York. Then the next morning they found out that Crumbs had closed down all their stores overnight. 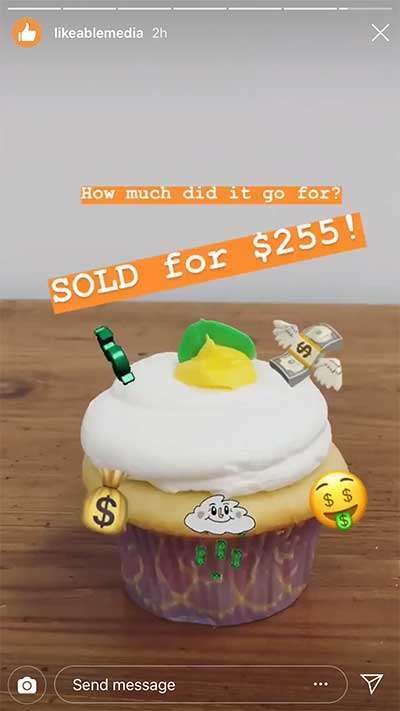 They decided to have some fun with it, and sell the cupcake. Their Story recap started with the poll, then recapped the story. How much do you think it went for? 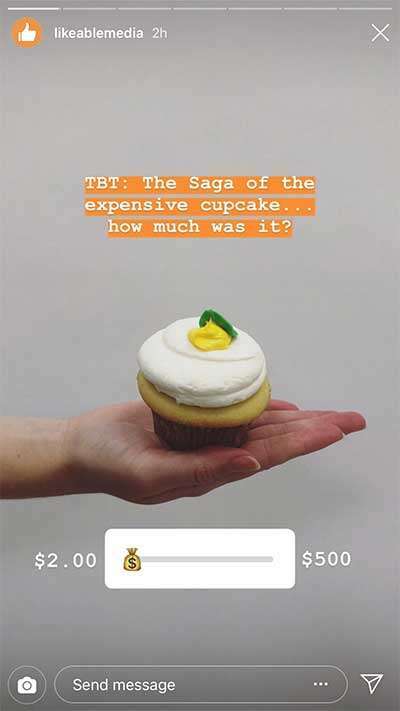 So, after to deciding to auction the Cupcake, how much do you think it sold for? Hot Tip: You don’t have to just run polls about current news and events. Have some fun with it. 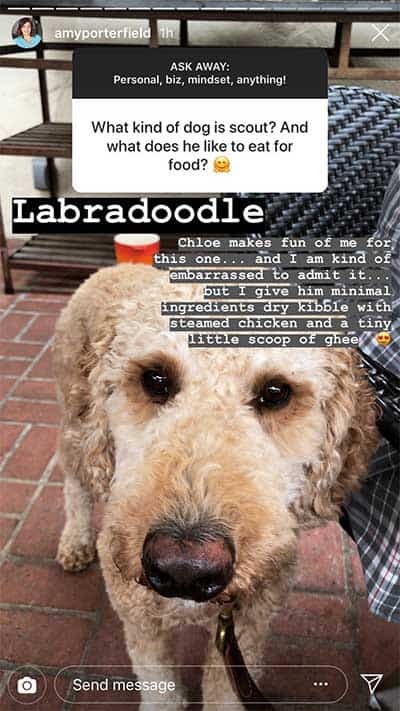 This is an example of a really interesting story that is still getting engagement for Likeable Media…yet it happened a few years ago. 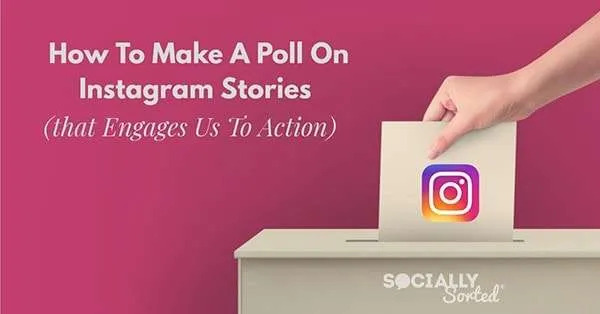 This 3rd example is not so much how to make a poll on Instagram but it’s still an engaging way to gather information about your audience and engage with them. It’s the Questions Sticker. This is one of the best stickers in my opinion and although not “strictly” a poll, it’s still asking for feedback from your audience, just in a different way. This sticker lets your viewers submit questions for you to answer. 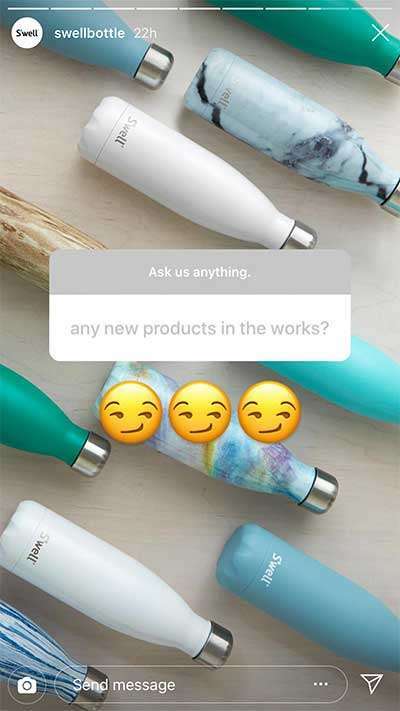 Here’s the introduction to Question Stickers from Instagram’s Blog. 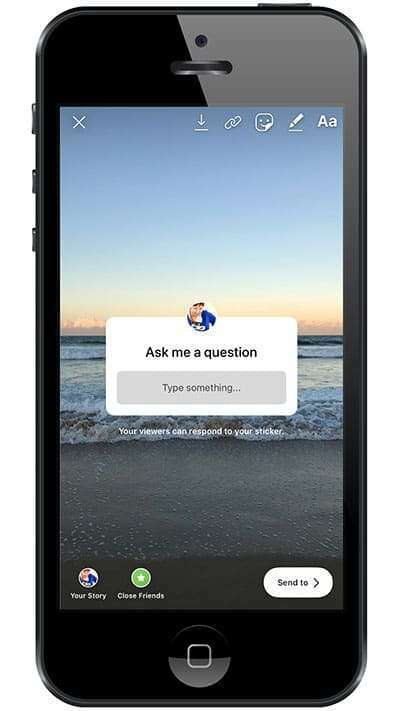 The Questions Sticker starts a conversation, boosts engagement and tells Instagram that your content is resonating on Instagram Stories. All you have to do is add the question “sticker” to your story after searching for it under the Sticker logo (smiley face). Then you simply type your relevant prompt and place it on your story. 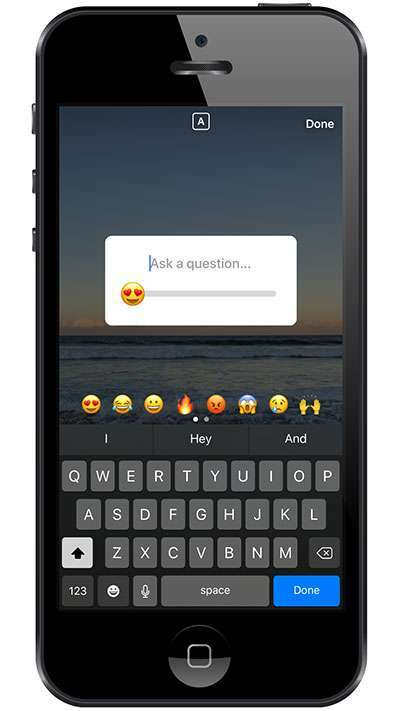 When viewers see the question sticker they can tap it to reply – and they can reply multiple times from the same sticker. As the person/brand asking the question, you’ll see their responses in your story viewer’s list as below. It’s a great way for a product-based business to become more human and interact with followers. Hot Tip: You can add any background you want to your “shared” replies. It can be a blank color or in the following example, some cool images. Is this how to make a poll on Instagram? It’s not strictly a voting poll BUT it’s polling the challenges and curiosity of her audience. In some ways this is even more powerful as Amy gets to see what her audience really wants to know! Please Note: that the owner of the account will be able to see who submitted each response in the viewer’s list (which is private to the public). So bear this in mind. 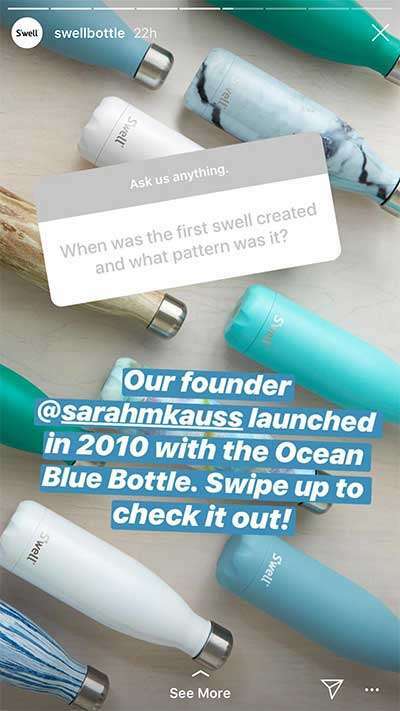 However when you share the poll question back on to your Instagram Story to share, the viewer’s identity (name, photo or username) is not shown and the sticker question is anonymous. 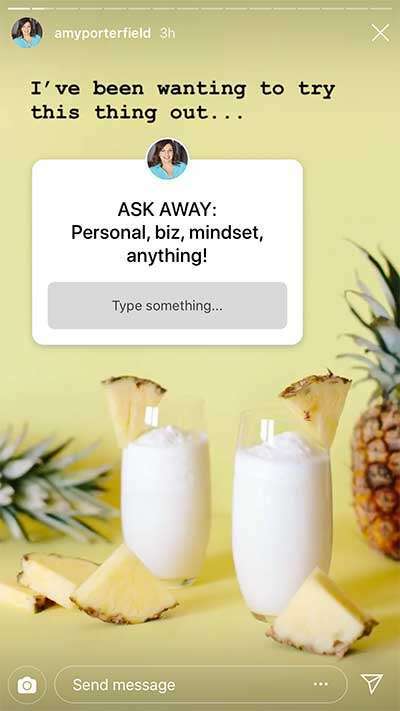 It’s a really great way to get to know your audience and Amy is doing just that in this example with a mix of personal and business replies to the questions asked. 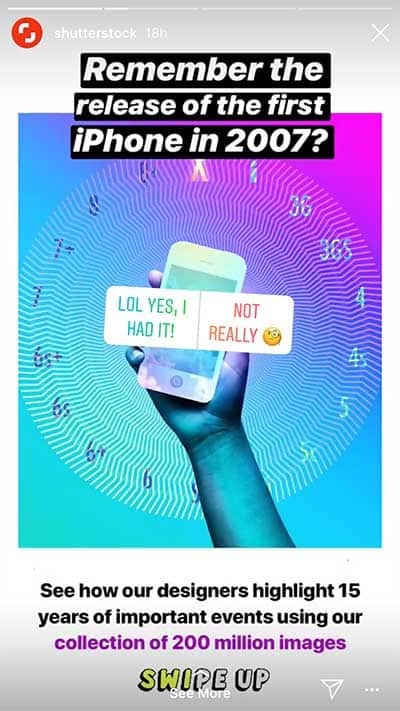 How do you do a poll on Instagram and leverage it? Take advantage of Polls by reaching out to certain participants in Direct Messages! They are already engaging with you, so it’s a perfect time to reach out and start a conversation with a warm audience. Just don’t be spammy! Focus on conversation and getting to know them, and NOT on selling. This is a no brainer for the Question Poll, where they are doing more than just tapping an emoji or tapping a Yes/No. They are taking the time to ask you a question so engage with them. These are your people! Use the DMs to follow up with them. Want to do a poll on Instagram? As Instagram says, all 3 stickers give you an easy way to get closer with your friends and followers on Instagram. So use it not only for engagement but truly to get to know your audience. When you know them better you can help them better and ultimately sell them products and services that they actually need and want. Are you using Poll Stickers? Which ones? 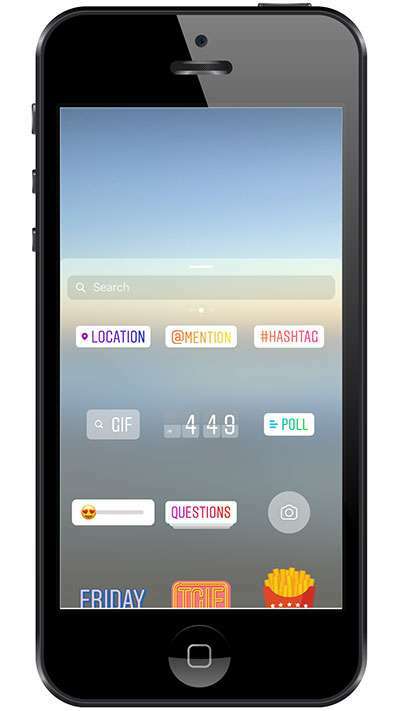 Or now that you know how to make a poll on Instagram Stories will you try this awesome feature?